Making a difference in the lives of patients. Well known Doylestown sign maker, Bob Shaw, designed and installed our beautiful new signs at 411 Hyde Park. Bob’s son Charlie, and his nephew came to place our signs. Great guys! Nice job! I received another amazing letter today, and wanted to share it, in part, with you all. Thank you L.H. for taking the time to share how you are doing with us, and for trusting us with your care! For those of us that are ill, we dream of this, finding an organization that cares more about the people and how they care about the people, then on the money… For me, it’s plain and simple… It’s just not out there in the world today… It gets too big, and it’s becomes too much about efficiency, then about the actual product (as in the care that is provided and the success rate of teaching people how to help themselves and find wellness in a way that can work for them)… Thanks for offering me a way to be back!!!! And let me know about the scheduling, L.H. It is always such a pleasure to get emails like this. We can’t express how much it means to hear, in your thoughtful words, how you are doing and how your life is changing. That we had any positive part to play, we are grateful for the acknowledgment. The true work, of course, was directed and executed by YOU! …when you decide to find and get what you need, take control of it the way that you have, and understand that you deserve it, then change happens. YOU made those changes. We may facilitate those changes, but YOU made the commitment, and were open to the possibilities. YOU are exactly why we do what we do the way we do it. We are proud to be part of your support team! Ever wonder why you feel better, more energized, uplifted, and have an overall good feeling when you are walking along the beach while the waves break at your feet? Why do you seem to be able to breathe deeper into your lungs, think more clearly and feel refreshed and alive again when standing next to a waterfall? The action of the water, and its trillions of water molecules as they crash to the earth, allows your body to absorb negatively charged ions that encourage alkalization of the pH in your blood and tissue. According to Dr. Theordore Baroody, author of “Alkalize or Die”, this is necessary to prevent minor and major dysfunction. By eliminating toxins, your body has a better chance of healing itself. 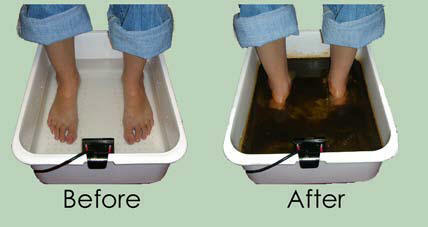 IonCleanse Detox Foot Spa purifies the body through the electrolysis of the water. The foot soak takes about 30 minutes, and many people report that they can breathe better, feel lighter, have more energy almost immediately. This procedure is effective on its own, but the benefits are increased when combined with therapeutic massage, acupuncture and Reiki. Ready to schedule your Detox Foot Spa with Michelle Halbsgut, NCBTMB? Call us 215-230-8100. 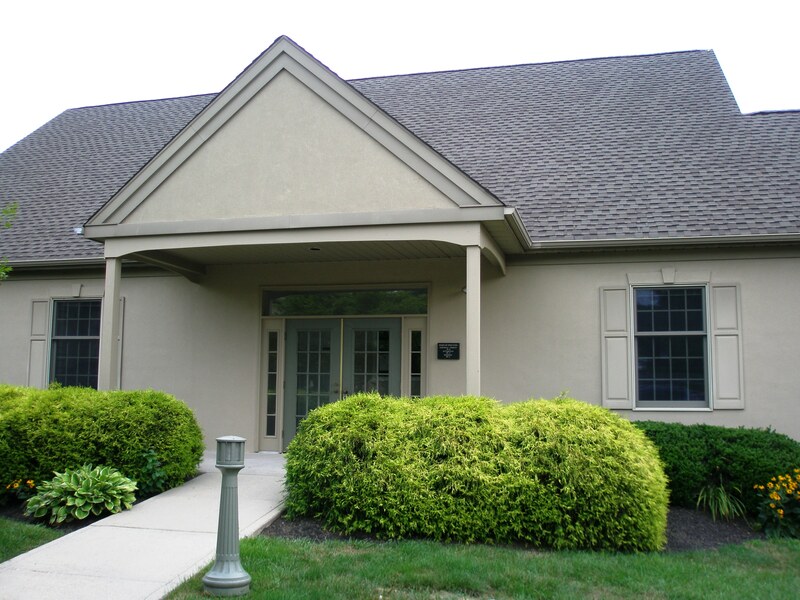 Feel free to call Michelle at 215-313-4495. Cost is $45 per session, or, save with a package of 11 sessions for $450. “I’d been looking for a good chiropractor for years. After having some rather unpleasant experiences, I had pretty much given up. 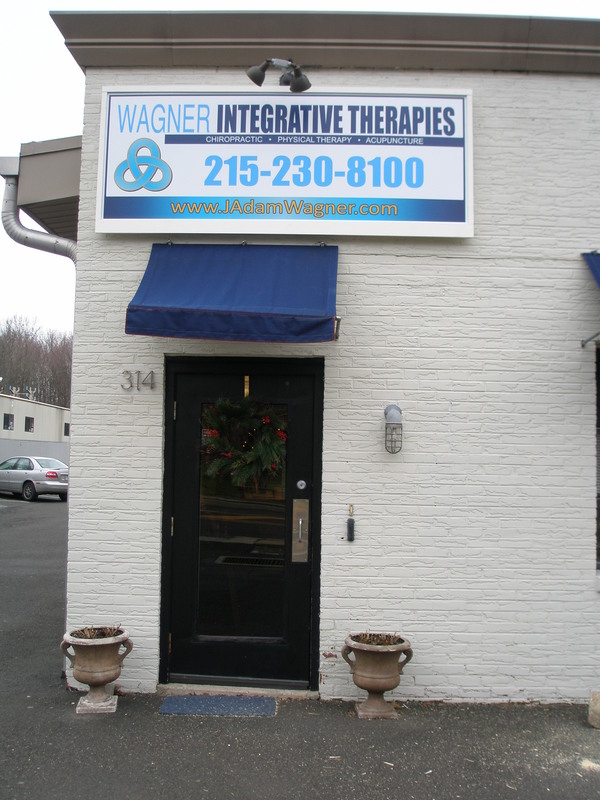 I initially found Wagner Integrative Therapies when I became curious about trying acupuncture. After a couple of sessions with JP, I decided to try their chiropractic services. I am so happy I did. Dr. Wagner has an instinct that can’t be learned, coupled with a thorough knowledge of the body and how it works. I’ve also had the pleasure of working with their physical therapist after a pretty bad ankle sprain. This was the third time I sprained my ankle. I’ve had pain on and off for years that no one could pinpoint, Jay found it during my first appointment with him. I can’t stress enough how much of a difference these guys have made in the quality of life and how I feel day-to-day. Back pain isn’t just about heavy lifting or sleeping the wrong way. Here, 14 surprising everyday habits that cause aches and pains—and how to feel better. Did you know that sitting puts 40% more pressure on your spine than standing? Fix it: Sitting at a 135-degree angle can reduce compression of the discs in the spine, so lean back slightly every now and then. Do it when you take a phone call or a co-worker stops by to chat, recommends Dr. Todd Sinett, co-author of The Truth about Back Pain. Make sure your office chair supports the curve of your spine, he says: Your lower back should be supported, and your head should be straight—not lurching forward—when you look at your computer screen. Get up and walk around for a couple of minutes every half hour—take trips to get water, use the bathroom, or grab papers off the printer. Just like at your desk, hunching over a steering wheel can tighten chest muscles and cause your shoulders to round. Get moving to alleviate aches and pains and fix back pain faster. Fix it: In fact, most sufferers would benefit from more exercise—particularly frequent walks, which ease stiffness, says spine surgeon Raj Rao, MD. Forinstant relief, he recommends stretching your hamstrings and hips. Moves like these will take some strain off your back. By improving circulation and lowering stress, just about any kind of exercise promotes back pain recovery. But yoga may be best. Fix it: You can find yoga classes everywhere—at gyms, YMCAs, and local studios. Make sure to tell the instructor about your pain so she can help modify certain moves for you. Sit-ups and crunches may actually cause more back pain than they prevent, according to Sinett. Fix it: You don’t have to ditch crunches entirely, but you should do them slowly and use proper form. Include them as part of a broader core workout that also strengthens your transverse abdominus. This muscle is particularly important for a strong, steady core that supports your back, and the best way to strengthen it is with (noncrunch!) exercises like these. Added bonus: You’ll whittle your middle and beat hard-to-torch belly fat while improving posture and relieving back pain. 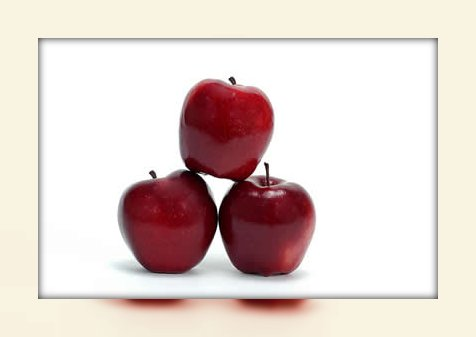 Research shows that eating habits that are good for your heart, weight, and blood sugar are also good for your back. Fix it: A back-healthy diet is one that reduces inflammation, according to The Truth about Back Pain. The book’s plan advises avoiding excess caffeine and processed foods (read ingredient labels for the following: hydrogenated or partially hydrogenated oils, enriched wheat flour, words ending in –ose, and additives that end in –ates or -ites), and eating more whole grains, soy, nuts and seeds, protein (chicken, fish, lean meat), vegetables, and fruit. 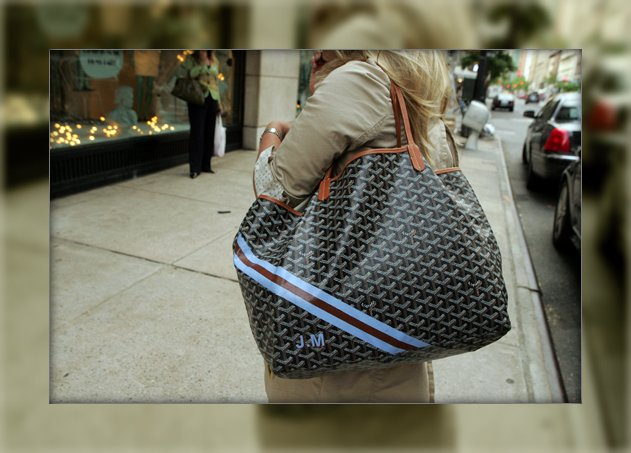 A stuffed-to-the-gills handbag may cause back damage that’s comparable to a sports injury! Fix it: First, carry the lightest bag possible. (Some of today’s styles—with chains, studs, and other hardware—are heavy even when empty!) The American Chiropractic Association recommends that your bag—when fully loaded—weighs no more than 10% of your body weight. Alternate which shoulder you carry the bag with from day to day, and consider splitting your stuff between two bags (one for each arm), which will pain-proof your load by distributing it more evenly. Can’t remember the last time you replaced it? Your back may be in trouble. Fix it: When you do replace your mattress, take a Goldilocks approach: Pick one that’s not too squishy or too hard. Very firm mattresses can increase pressure on the spine and worsen pain, say Spanish researchers. A study of 313 people revealed that those who caught Zzzs on medium-firm mattresses were more likely to report pain improvement than those on firmer ones. To help ease nighttime discomfort even more, tuck a pillow under your knees if you sleep on your back, between your knees if you’re a side sleeper, or beneath your stomach and hips if you snooze on your belly. Do you routinely get a sore back after even a leisurely bike ride? You may need to adjust your equipment. bikes, allow 3 to 6 inches. As for your seat height, your down leg should be fully extended when the heel of that foot is on the pedal in the 6 o’clock position. Now put the ball of that foot on the pedal; there should be a slight bend in your knee in the down position. You should be able to keep a slight bend in your elbows and not feel stretched out when holding the handlebars. If your bike isn’t adjusted properly, check with a local bike shop or bike club to find someone who can properly fit it for you. *Another tweak that can help: Tilt the front tip of your saddle down about 10 to 15 degrees. This simple adjustment takes pressure off your lower spine and pelvis, research shows. 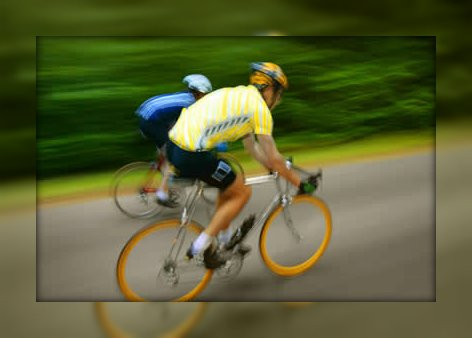 When researchers made this adjustment for 40 recreational cyclists who had back pain, the pain went away in 72% of the group—and another 20% reported significant reduction in pain. Or flip-flops. 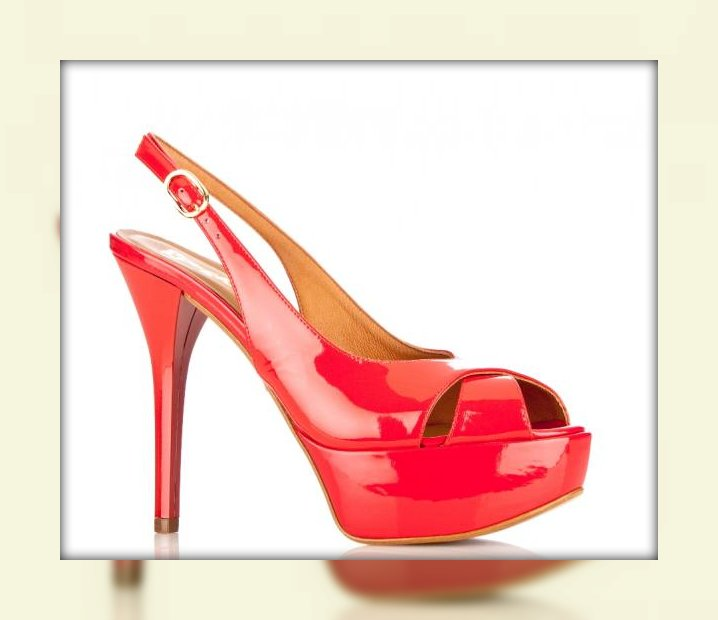 Both lead to foot instability, which can in turn affect your back. Fix it: You don’t have to forgo trendy footwear—just don’t walk long distances in them. Commute in comfy flats or supportive sneakers, and consider adding cushioning inserts to uncomfy shoes. When Lehigh University researchers gave back-pain sufferers lightweight, flexible shoes with simple cushions, 80% reported significant relief within a year. Trying to block out pain could make it worse, finds research from the Rosalind Franklin University of Medicine and Science. To err is human. To forgive could make your aching back feel simply divine. Fix it: Forgiveness isn’t a once-and-done act; it involves choosing, again and again, to replace anger and resentment with understanding toward someone who has done you wrong. Try this: First imagine someone you love. Think, May this person be at ease, happy, healthy, safe, and secure. Repeat, imagining yourself, then someone you don’t know personally. Finally, bring to mind someone for whom you don’t have good feelings. It’s not all in your head—chronic or acute stress can directly trigger back pain. Fix it: Sometimes even just realizing that stress may be at the root of your pain can help, says Sinett. Then you can prioritize ways to calm down each day, be it through exercise, laughing with a friend or partner, reading a good book, etc. One particularly helpful therapy, research shows, is listening to music. Parking yourself in front of the tube for hours and hours a day doesn’t make your back very happy. Fix it: Limit TV to shows you really want to watch, instead of idly channel surfing. And instead of fast-forwarding through commercials, do some stretches or strength moves during the breaks, which will prevent muscle strain from sitting still too long. If you have a kid complaining of back pain, make sure he walks at least 1 mile daily; this can cut back pain in half and give his still-developing spine a chance to stretch out. Read a great article from this week’s New York Times! As an integrative center, I found this corroborative information to be long over due. We see the benefits of combined therapies and excercise for neck, back, shoulder, hip and knee pain every day. Passive to Active care works!!! Enjoy this article: J. Adam Wagner, D.C.